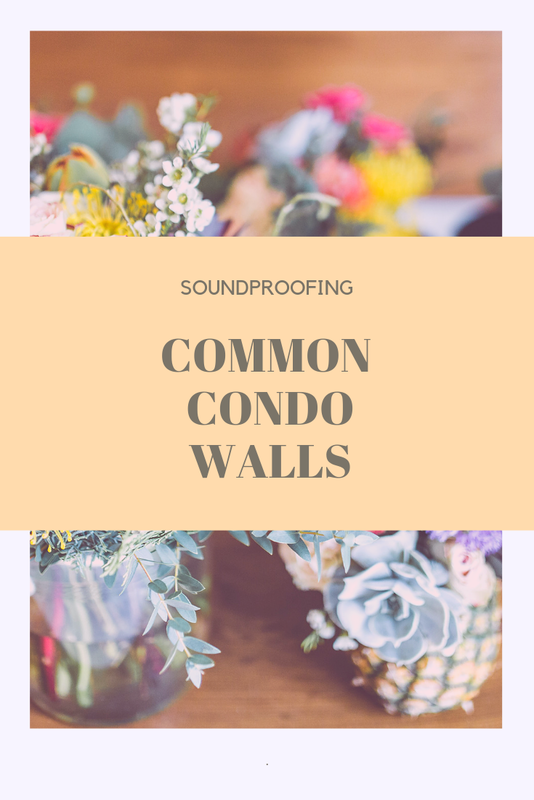 A few months ago, one of my clients and also a very close aide of mine came to me and shared with me the problems that he has to face because of the lack of the soundproofing of common condo walls. I was literally shocked because I never thought that common condo walls can be so troublesome. It was indeed a project that I've to start from scratch. In this article, I'll share the information related to the DIY Common Condo Project, and all the things that I've to do to make the project successful in a true sense. Needless to say, there were moments when I thought it's not working out and I should quit, but as a soundproof consultant, I can't quit, it is my sole responsibility to solve any and every problem related to soundproofing. The project was costly and extremely challenging because of the nature of the sound dampening. Acoustic foams are sponge-like objects used extensively to absorb and dampen noise. You can find them in studios to negate the effect of reverbs, vibrations, and echoes. To prevent reconstructing the condo walls, you can install acoustic foams on the wall. It will dampen the unwanted noise, and also reduce the reverbs and airborne noise. Here, I would like to make a point that the foam panels can drastically reduce the noise still it's not the complete solution. Even after installing these panels on the wall, you'll find a certain percentage of noise reaching out to you. So, the best thing that you can do is to use these soundproof foam panels along with other soundproofing materials. I personally prefer this solution because of its cost-effective nature and high performance. You can use drywall to create a room within the room or you can add a layer of drywall to improve the thickness and density of the condo walls. Green Glue is specifically designed to dampen the sound waves by converting them into heat. The installation process of drywall on the common walls is quite simple and easy. You need to simply add green glue to the drywall and then attach it to the common walls. On the downside, you can't treat it as a temporary solution. Once the drywall layer is added it will be there for long-term, so you need to take permission from your landlord to implement this solution. Secondly, it is a bit costly as compared to other soundproofing materials out there on the market. In case, you wanna try this solution, then you can check the customer review on the Amazon. I'm sharing a self-explanatory video tutorial with you. Hope it helps! I'll recommend you to use moving blankets in case, you're living in a rented apartment and you don't have to do the modification. The moving blankets are great ways to get rid of the echoes, reverbs, and vibrations. The thicker the blankets are the better they will perform against the unwanted noise. You can install it on the wall. These "moving blankets" are made of sound absorbing materials. On the downside, they may not be visually appealing for your room decor. However, you can decorate these thick blankets withdrawing, stickers and many more thing. They are budget-friendly and will cost you only a few bucks. You can check the current price on Amazon. If you're the regular reader of this blog, then you must be aware of the fact that there are loads and loads of products available on the market to get rid of the high-frequency noises. However, the same doesn't hold true with the low-frequency. In fact, you've very limited options to deal with this culprit. If you're aware of the low-frequency, then let me tell you the BASS comes under the low-frequency category and because of this reason, you can hear them from a far distance. As the name suggests, BASS TRAPS is one the best solutions to tackle the low-frequency. They can be easily installed and are also cost-effective. It is highly recommended to install them on every corner of the walls for the optimum result. Well, you need to figure out the gaps, cracks, and holes in the vicinity of the common condo walls. Once you're done, you can use weatherstrip or green glue to seal them. Weatherstrip can be a temporary solution and green glue can be a permanent solution. Though it's a time-consuming process still it's worth the effort. You can attach the art and other visually appealing objects on the wall to enhance the sound dampening capabilities of the wall. There are soundproof wallpapers available on the market. You can also try them. Covering the walls with the paint can do the trick. This is a completely free, but very effective method. You can rearrange the furniture in a way that it covers the wall. By doing so, the sound dampening capacity of the wall will be enhanced. A white noise machine can be a very effective instant solution. It generates white noise that masks the unwanted noise. Personally, I've been using a white noise machine in my office and a white noise fan in my bedroom. They play sounds that are peaceful and relaxing. You can consider ear plugs as an instant solution. If you're in the vicinity of airport, railway station or the traffic zone. I'll highly recommend you to try this solution. The era-plugs are great at canceling the unwanted noise in the background. Alternatively, you can also give noise canceling headphone a try. I hope this article added some value to you. The soundproofing common condo wall is a long process, and the success totally depends upon the methods that you've selected for the soundproofing. In case, you liked this piece of information, please share it with your friends and colleagues.